Fully renovated in May 2017, The Village Broadway is the perfect Sydney base for the adventure-seeking young traveller. 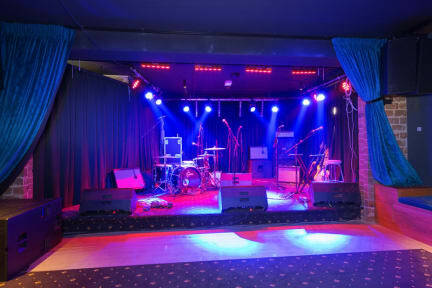 The hostel is located above the Lansdowne Hotel, featuring a lively pub and live music venue, holding shows from different bands throughout the week, right at your doorstep! Across the road you will find Broadway Shopping Centre, for all essentials and shopping needs. Wander up Broadway and you will be at Central Station in minutes, where you can hop on a train or bus to the beach, or continue walking through China Town all the way to the Sydney Opera House and Harbour Bridge. Only stayed a night but it was fairly decent. The rooms are large and clean and the bathrooms were adequate although the shower was a bit weak. The location is good with shops and restaurants just a short walk away. Didnt get much of a social vibe from the place but I would return if I was just passing through Sydney again. The interior was nice and upgraded recently, but the kitchen was a mess most of the time from guests who didn't bother to cleanup after themselves despite signs everywhere warning them of fines. On nights when the club downstairs was playing music, the guess rooms were VERY noisy, so noisy that the hostel provides earplugs for guests. Even on quiet nights, the adjacent road is very loud. Shower water pressure and heat is also inconsistent and there aren't enough hooks behind the doors. Only stayed for one night, but would go back. 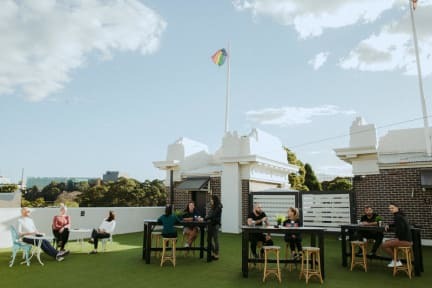 The roof top hangout is super cool and the staff is super friendly and welcoming. The only lockers are the boxes under the beds, kinda hard to deal with. My room was very messy with clothes everywhere but that’s not to hostels fault just messy roomies. Oh! And great wifi! Was able to watch Netflix on my computer. Great location and good security, but pub next door is very loud. They have a free earplug dispenser, but it was empty for the 3 days I was there. The mattress was very stiff and uncomfortable and showers and toilets needed to be cleaned more often.